Thandai is a refreshing drink made with Milk, Almonds, Rose Petals & hint of spicy taste. It works as a coolant making it very good specially on hot days. It's very popular drink for festivals like Shivratri & Holi, however you can make it any day. 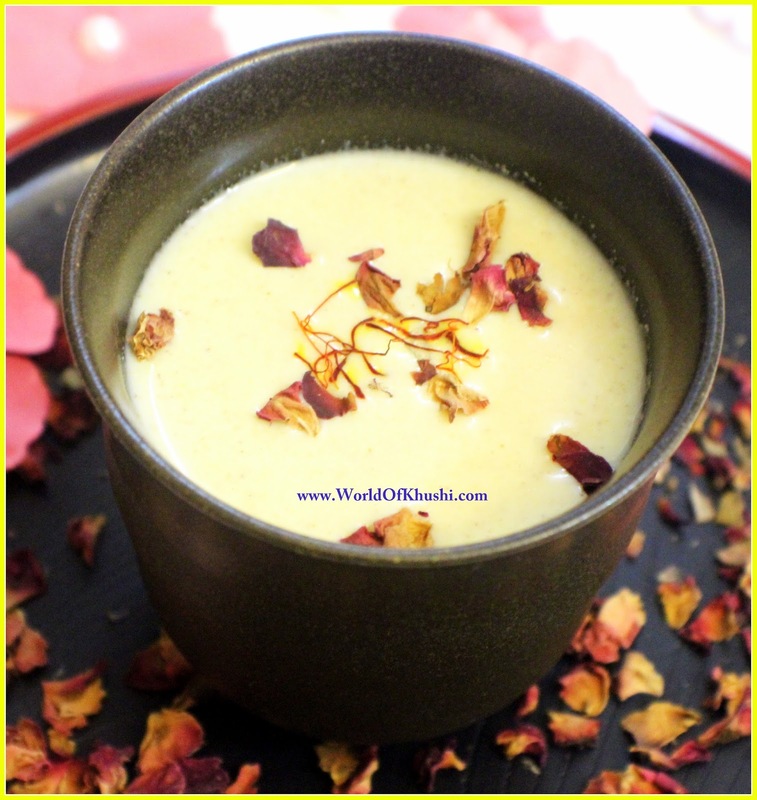 In last post we shared how to make Thandai Masala at home. As Thandai Masala can be stored easily for 3-4 months this makes it easy to prepare quick Thandai. 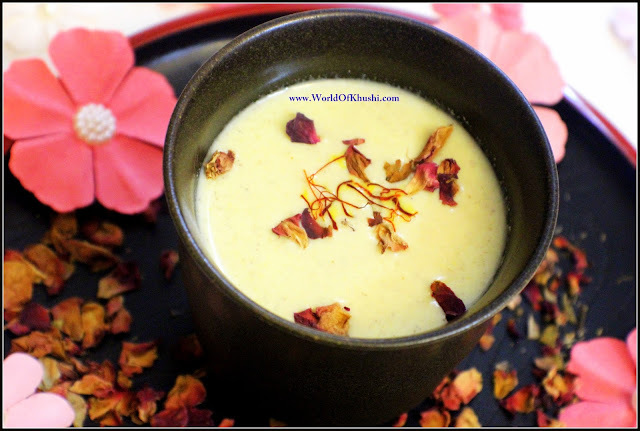 In this post we are making a complete Thandai Recipe. If you already have Masala then this will take only 5 mins to make. I recommend to make this in advance so that flavors get time to infuse properly. It will taste exactly the same as readymade Thandai. I hope your family & guests gets impress with your yummy Thandai. Let make this delicious Thandai without further delay! For Thandai Masala Powder Recipe Click Here. Step 1. In Jar, take half liter cold milk and mix 7-8 tbsp Thandai Masala Powder. Mix it well, you can even use blender if you want. Step 2. Now refrigerate this Drink for at-least 6-7 hours so that flavors get time to infuse. I personally love to make this drink a night before but if you don't have time use ice cubes and refrigerate it for at-least 2-3 hours. Step 3. Once your drink is infused with nice flavors, take out from Refrigerator. Step 4. Pass it through sieve while serving. You can even serve directly but I like to sieve. Step 5. Garnish it with saffron & some dried rose petals. Your tasty Thandai is ready. Served chilled!! Do try this recipe in this Holi Season and impress your family & friends. Don't forget to share your feedback with me. Guys do like the post & share it with everyone you know. Follow me on Khushi's World Facebook Page, Google+ , Instagram and Pinterest for more Posts. I will see you in next post till then take care.